The lamp pays homage to the enduring Arts and Crafts style which is typified by straight lines forming squares and rectangles. 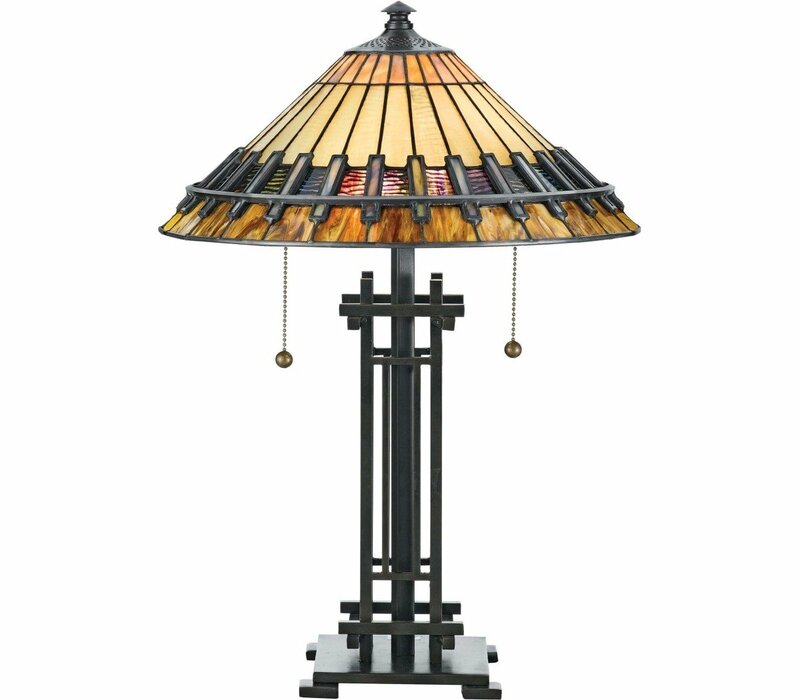 The handcrafted shade honors the tradition of quality and attention to detail and the coordinating base has an authentic bronze patina. 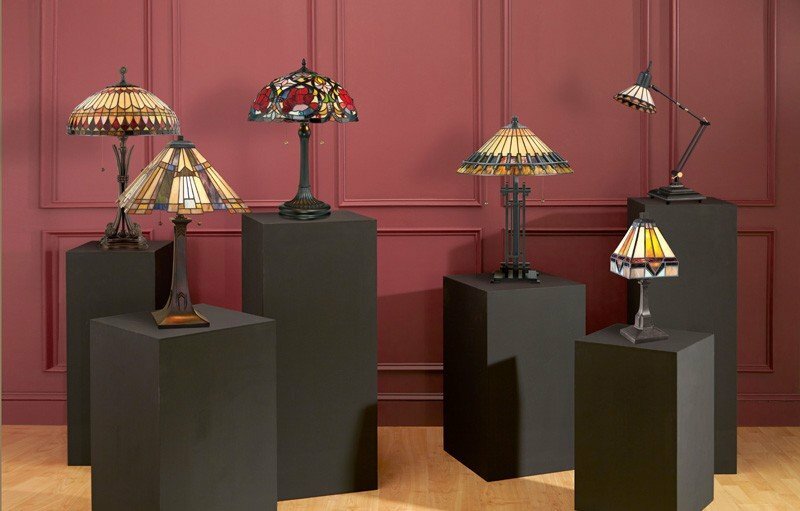 The Quoizel TF489T Tiffany collection Table Lamps use Fluorescent light output and bring Arts and Crafts style. This item is 22.5"H x 15.5"W x 15.5"L. The wattage is 60. The Quoizel Lighting TF489T requires 2 bulbs (not included). 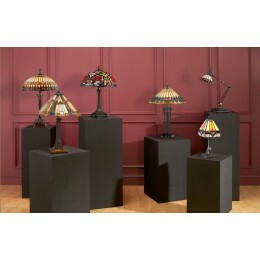 Additional Information: Shade-Tiffany Art Glass; Control-On / Off Switch.